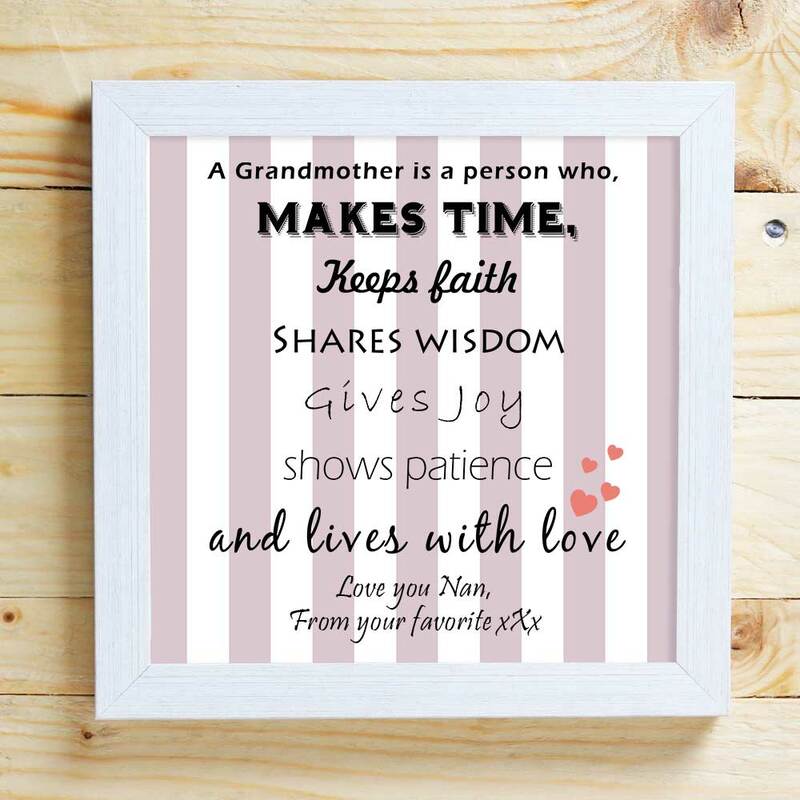 How about this truly unique gift for Gran? 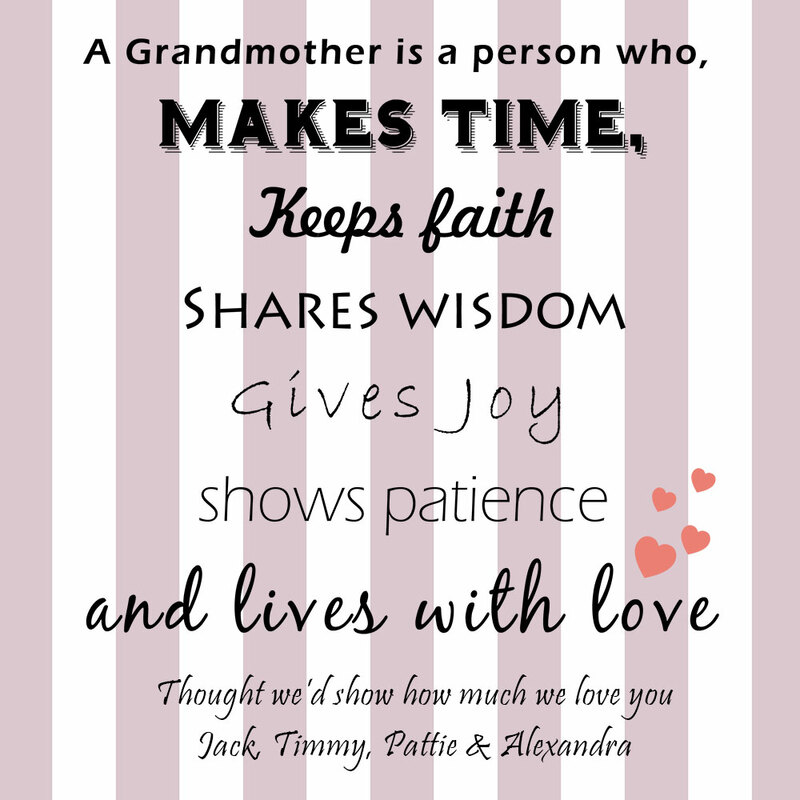 Show your grandmother how much you appreciate her with this personalised framed picture. 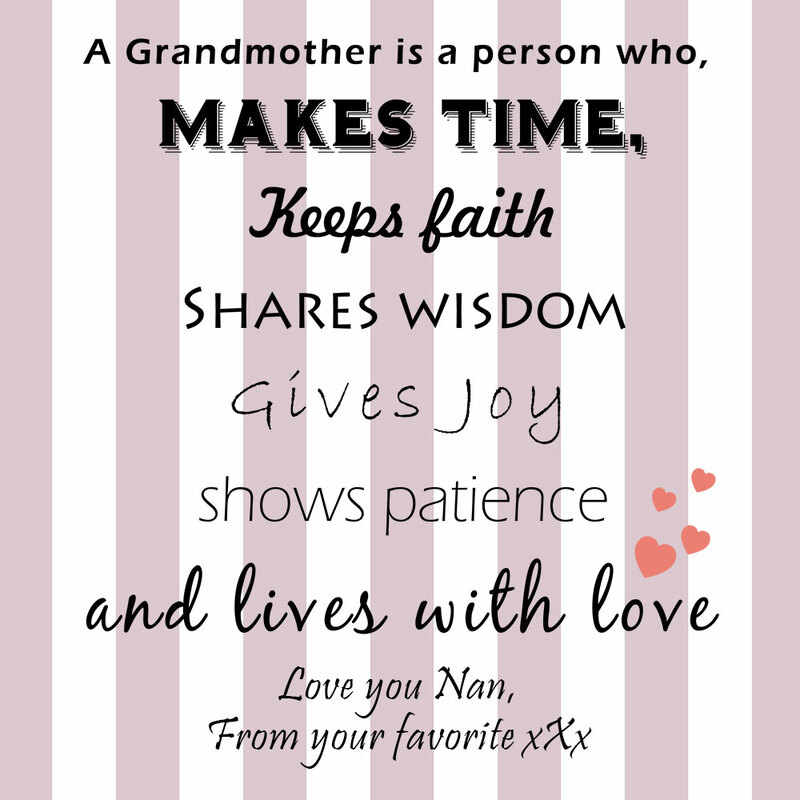 Leave a short message and this gift becomes the best present your Nan will recieve, you never know you might just become her favourite grandchild after this!